You know that crazy feeling when someone is sick and you want to do something to “get the germs out” so no one else gets it? I used to grab Lysol and spray it around the house but when I learned it was full of toxins I decided to find some alternatives. Many of us grew up using Lysol so it’s hard to break the habit. Our parents didn’t know how bad it was and even now it’s just becoming common knowledge. Lysol is full of chemicals. Ingredients like mipa-borate, ammonium hydroxide, and petroleum gases are not safe for adults much less for kids. According to the Environmental Working Group, these chemicals can be hazardous to our skin, respiratory, and reproductive system. So What’s The Alternative To Lysol? There are a number of less toxic things you can do to keep sickness from spreading to other family members without resorting to using chemicals in your home. Of course, the first thing is to have everyone regularly washing their hands several. The 2nd is boosting everyone’s immune system. The 3rd is getting rid of the germs in the house. Since essential oils help boost your immune system and are great for disinfecting you can accomplish both at the same time. When someone is sick in our house I immediately turn on the diffuser and wipe down surfaces with homemade “Lysol”. There nothing worse than having your diffuser quit working when someone is sick in the house. When someone is sick in my home we run the diffuser all day long. So do yourself a favor and always have a backup essential oil diffuser. 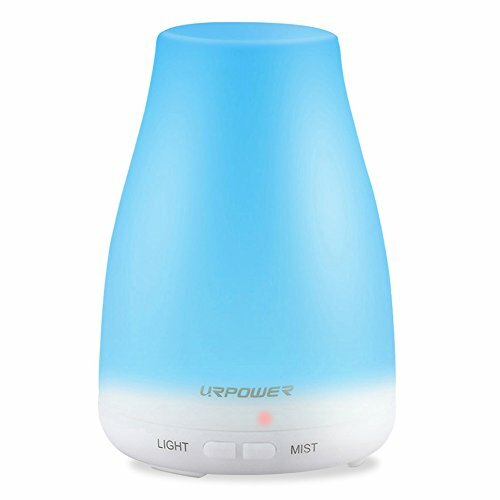 Grab that diffuser if you see it under $20. It works great. My daughters love how it changes colors and it’s easy to operate. The best thing to do is to have everything you need ahead of time. If you don’t, you’ll be spraying Lysol because it’s easy to grab. You can easily get single oils or to keep things simple you could purchase an immune boosting blend to mix with water in a spray bottle or diffuser. Plant Therapy, Simply Earth, and Isagenix are where I get most of my essential oils. Check for specials on their websites. These are some of the best single essential oils known for their abilities to kill germs. These blends are great to have on hand to take care of all your germ-fighting needs. They have multiple uses for keeping your family healthy. Basic recipes for making your own DIY Lysol include the core essential oils that are great for killing germs plus others to make the scent just the way you like it. That’s the great thing about natural cleaning. There are so many options! Melissa at CleanMySpace.com has a quick DYI disinfect spray tutorial using Thyme Essential Oil. Here’s another one you can mix up. Save for when you need it. There are more essential oils in this one. Do you use oils for cleaning and disinfecting around your home? If so, let me know your favorite. How much Germ Fighter would you use in this recipe? Hi Dionne, I have a small spray bottle and usually put about 20 drops in with water. I will update this post because I actually have both. Also, I have a new oil called Defender by Simply Earth that I think will work about the same. Stacy this is such great information! Isn’t it great there are really healthy and safe alternatives to toxic cleaners out there? Thank you so much for sharing some helpful recipes and tips! Thanks for commenting. Yes, it’s great to have alternatives and that more people are learning about them. Would witch hazel work in place of water? Since many people use it for cleaning and on their skin I bet it would be great to add to your DIY Lysol.